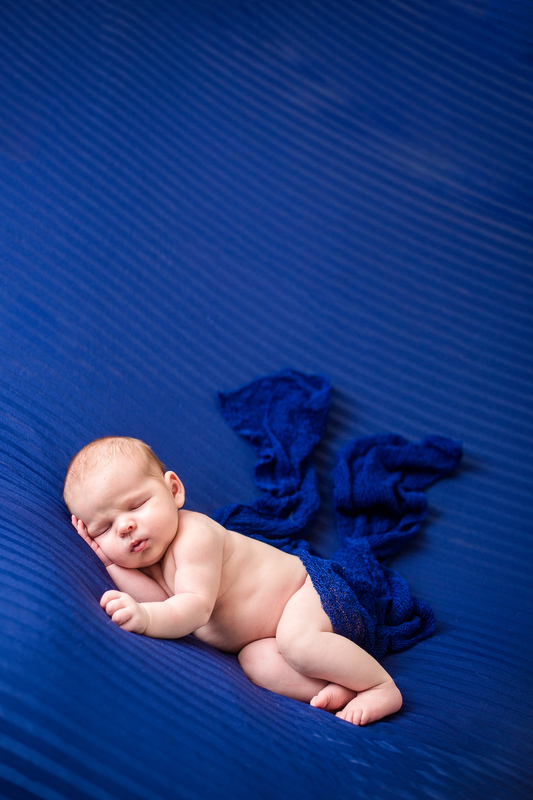 Sweet little Logan was one of the biggest newborns I have worked with. He was born weighing 10 lbs, 4 oz! Even though that is big for a newborn, he was still so small and adorable. When mom told me his nursery theme was jungle animals and that she was bringing along an elephant and giraffe, I was excited to create a personalized set-up for her. Logan was a dream to photograph. He was content throughout the session, even when he was awake.